Seripas: Don’t look! I’m having a suit malfunction. Not very intimidating, am I? 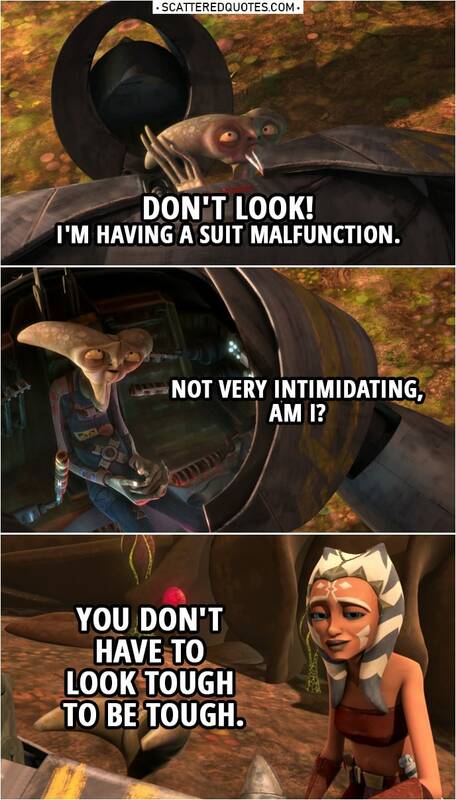 Ahsoka Tano: You don’t have to look tough to be tough. 7.4.2019 You don’t have to look tough to be tough.